Lately the Epic Games Store is grabbing a lot of headlines with its steady stream of exclusive game announcements, but Steam certainly isn’t resting on its laurels. At GDC 2019, Valve announced a number of features are coming to their platform, including a fresh look for your game library and new Steam Events. In the future each Steam user’s game library will get its own homepage, which will look somewhat similar to the layout of the Steam storefront. Most played games will automatically be sorted to the top, and key information, like which of your friends are online or available game updates, will be made more visible and easily accessible. You can check out the new interface below (click the image for full resolution). Not bad! Assuming this new library page actually loads quickly, it’s definitely a visual improvement over the previous one. Each individual game’s page is also getting a revamp. 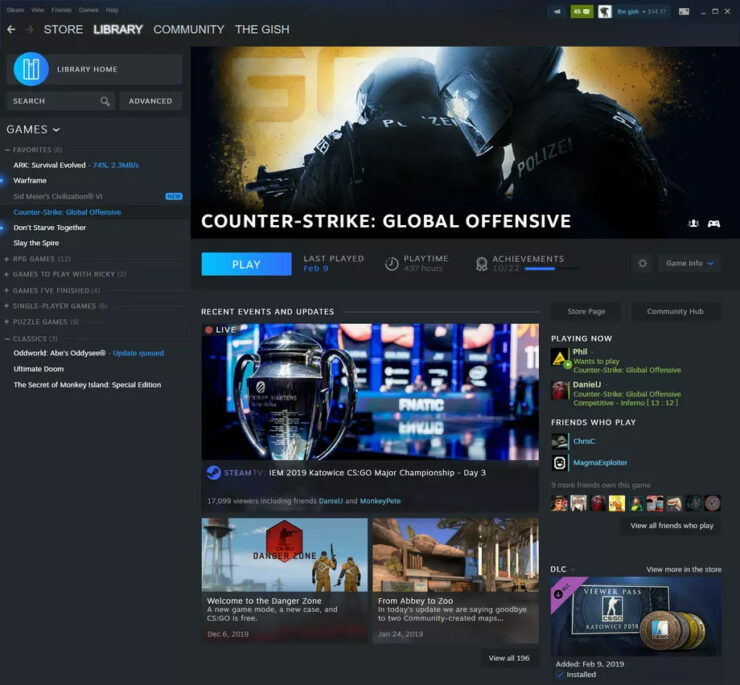 For example, this is what the page for CS:GO would look like. In addition to gussying up game libraries, Valve is also launching Steam Events. This will basically be an easy way to keep track of all the seasonal and limited-time events now popular in games. You can sign up for event reminders via Google Calendar and the like, meaning you’ll never miss that double XP weekend or limited-time PUBG mode again! Not exactly game-changing features, but certainly nice quality-of-life updates. 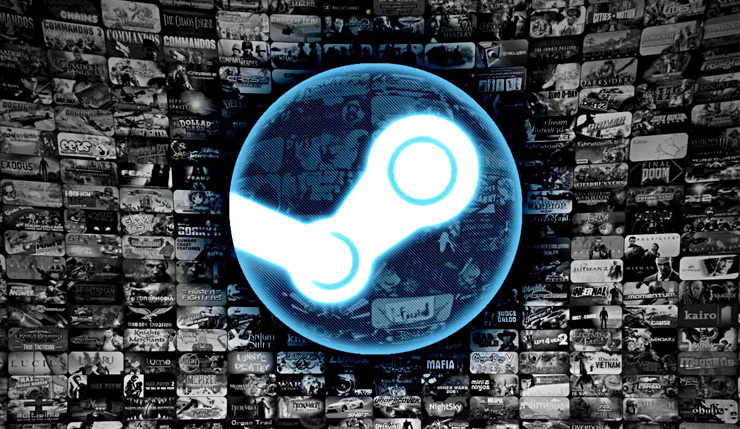 Epic may be snapping up tons of big-name games, but there’s no denying Steam is the better user experience. That said, Epic is planning plenty of updates for their store and launcher, so we’ll see how long Valve can maintain that edge. 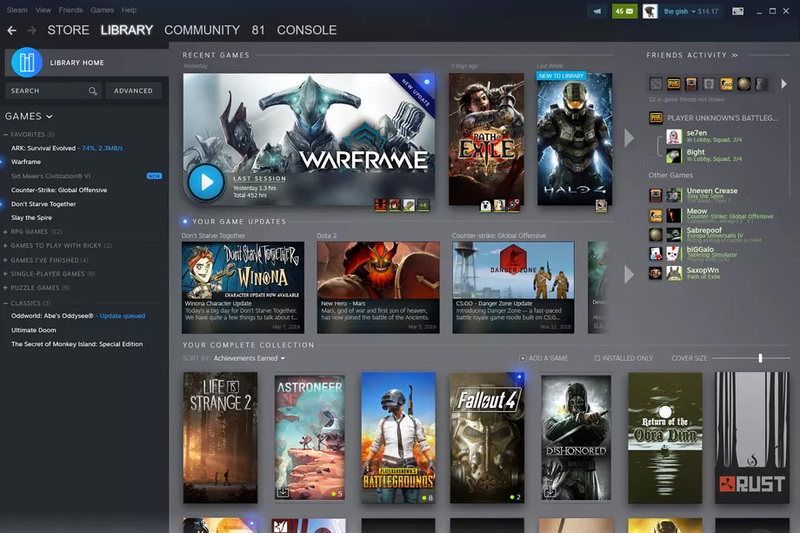 The Steam library revamp will arrive in beta form this summer. 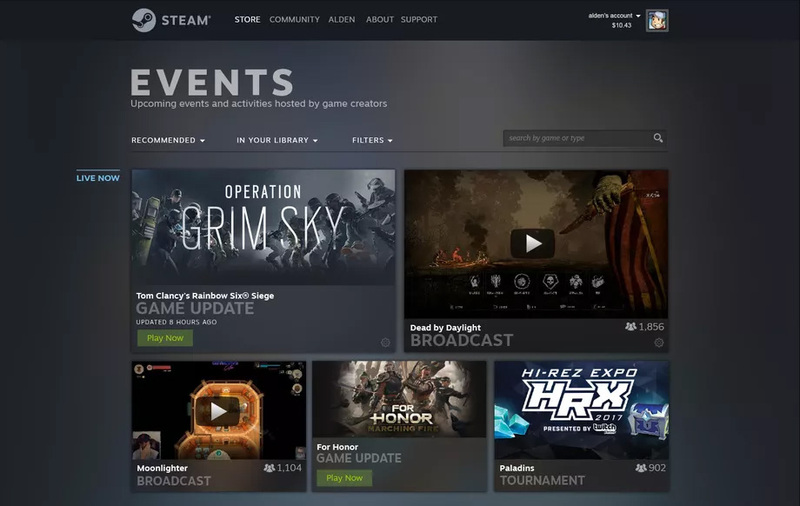 Steam Events will launch sometime in the next couple months. What do you think? Do the new features seem like good additions?